The Boy is lucky enough to have a fossil collection from his great-grandfather. These make it into school once a year or so. Last year his Mor-Mor did this and ended up making coffee ground fossils and had some activities surrounding it. This year I am bringing them in and need to have 27 kindergardeners keep busy and well behaved as the teacher works with them one on one. One of the activities is a work sheet that has the kids fill in the first letter. 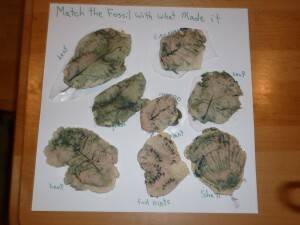 The work sheet is here: Fossil worksheet. 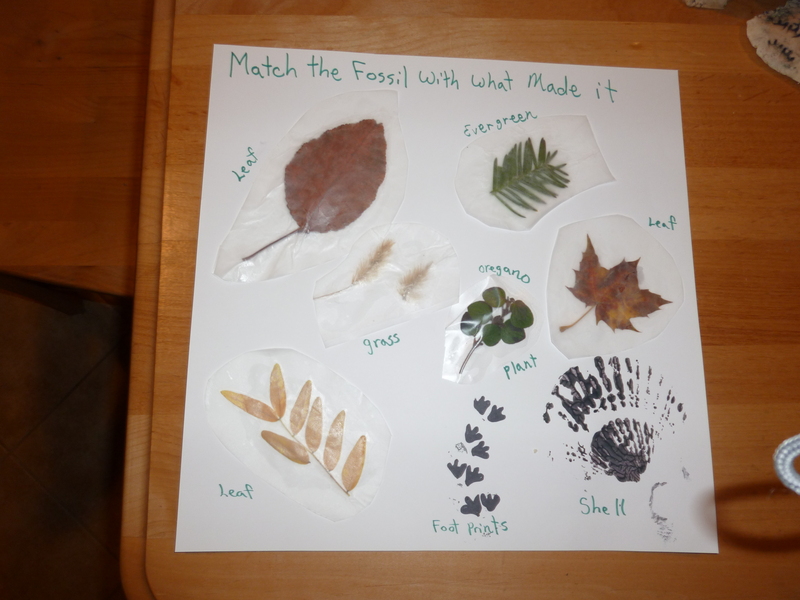 Another of the activities I created is a match the fossil with what made it. I gathered leaves and plants and made a salt dough. 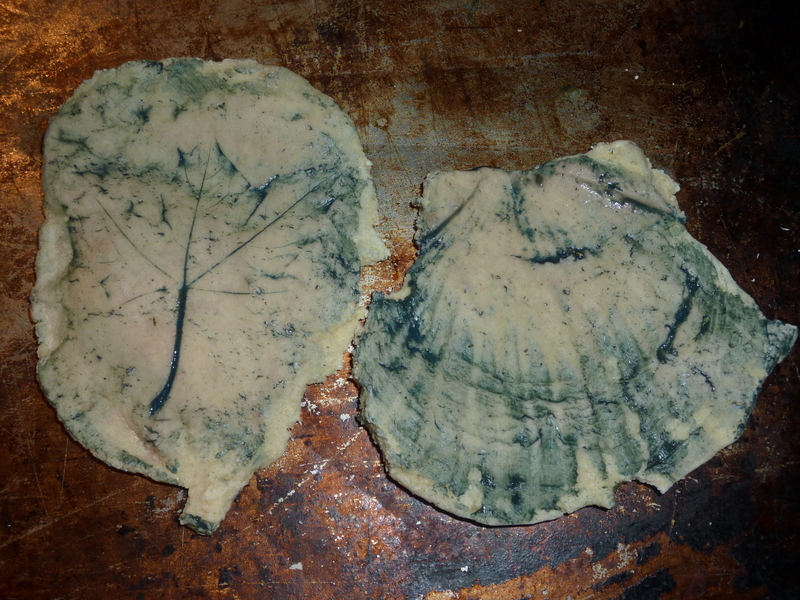 I then pressed the leaves and plants into the dough to create a fossil. I made 5 sets of the plants. Bake or dry according to instructions. Then I rubbed black paint into the “fossil” and wiped it off to create more definition. I saved 5 sets of plants and leaves which I encased in wax paper and made 5 worksheets to match the fossils onto. Kids can then look at the fossils and match them with what made them.